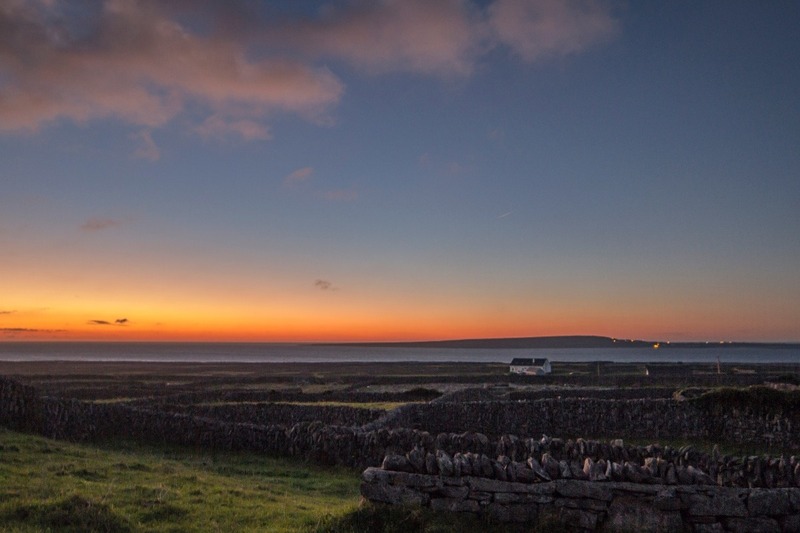 Comhlacht Forbartha Inis Meáin was set up towards the end of 2016 as a charitable organisation to help promote the island, to ensure services, to preserve the language, to attract funding and to help ensure a better life for all living on the island. At the moment we are working without any offices or base. We have recently acquired the old diving centre and are hoping to refurbish this. The plan is to have CFIM offices here. There would also be a welcome centre for tourists, meeting rooms, classrooms, hot desks with high-speed broadband and an exhibition space for the island's rich culture and history. 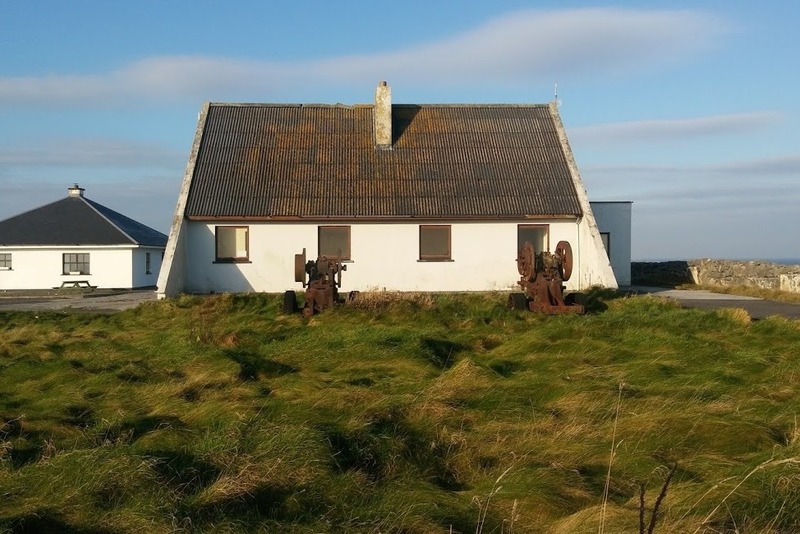 The Department of the Gaeltacht has included the refurbishment of this building in the National Development Plan and we hope to see work begin later on this year or early 2019. Having a population of only 160 residents, it a stiff task to raise 20% in own funds of the €300,000+ proposed to get this building up and running again. Any help would be greatly appreciated and would be making a huge difference to this Irish-Speaking oasis on the Atlantic ocean. Bunaíodh Comhlacht Forbartha Inis Meáin ag deireadh 2016 mar eagraíocht carthanachta chun an t-oileán a chur chun cinn, chun seirbhísí a chinntiú, chun an teanga a chaomhnú, chun maoiniú a mhealladh agus chun saol níos fearr a bhaint amach do mhuintir an oileáin. Faoi láthair, táimid ag obair gan ionad, gan oifig. Le deireanas, táimid tar éis an seanionad tumadóireachta a thógáil ar láimh agus táimid chun sin a athchóiriú. Tá plean againn oifigí CFIM a chur ann. Bheadh oifig fáilte ann, seomraí cruinnithe, seomraí ranga, deascanna te le leathanbhanda scioptha agus spás oscailte le haghaidh teaspántas do chultúr & stair an oileáin. Tá Roinn na Gaeltachta tar éis athchóiriú an fhoirgnimh seo a chur isteach sa bPlean Forbartha Náisiúnta agus tá súil againn go dtosnófar ar an obair níos déanaí i mbliana nó go luath in 2019. Agus daonra 160 ar an oileán, ní bheidh sé éasca cistí dílse 20% de €300,000 a ardú chun an foirgneamh a chur faoi lán seoil arís. Bheadh aon chabhair ina mórchabhair agus b'iontach an difear a dhéanfadh sé chun an tseoid Ghaelach seo ar an Atlantach a thabhairt slán.